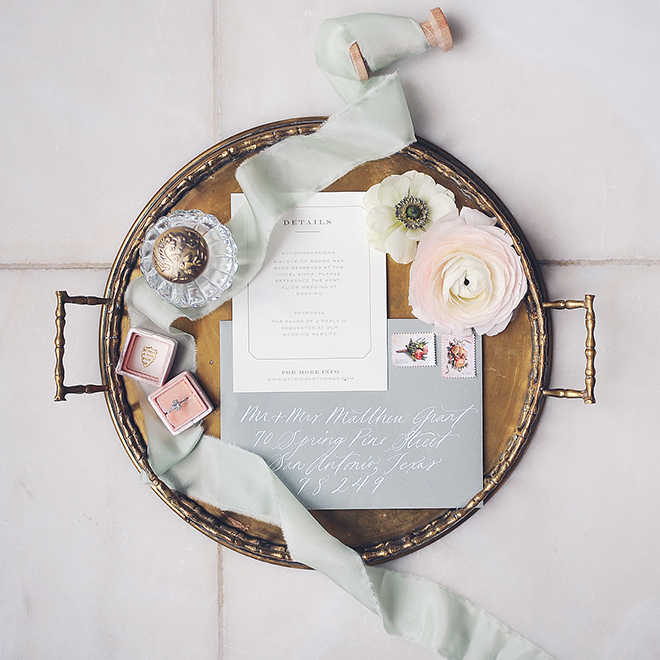 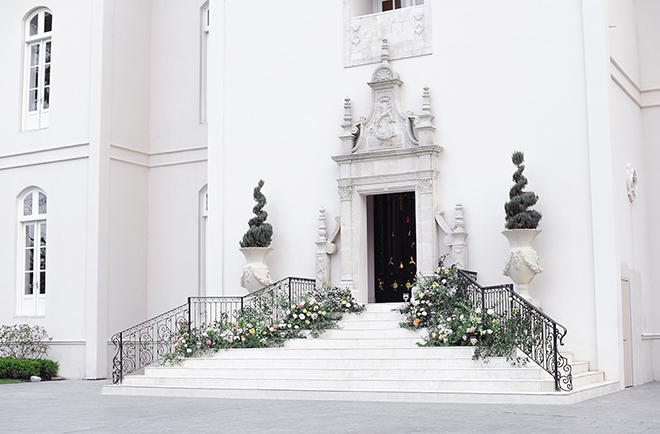 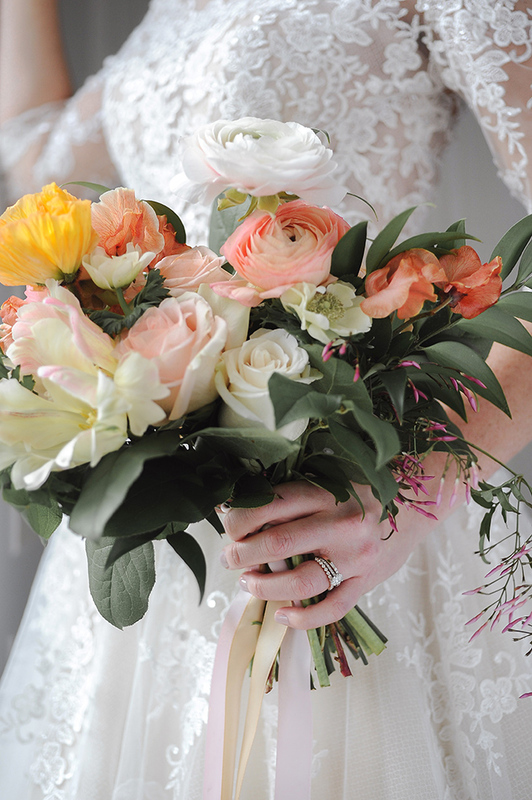 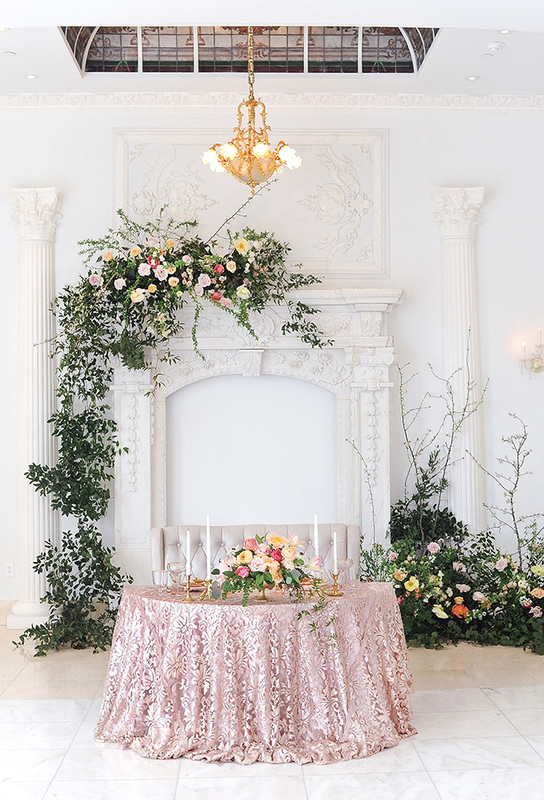 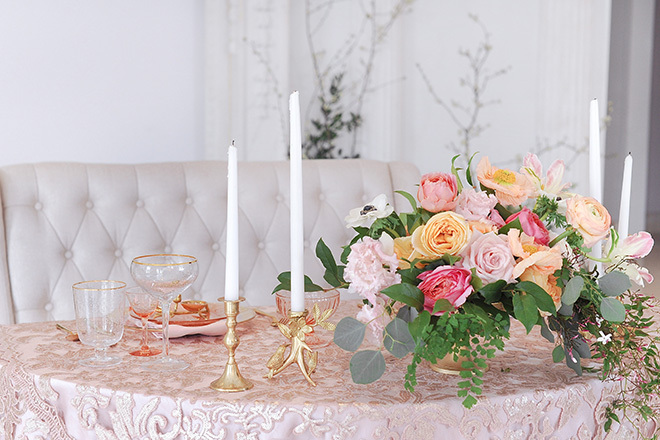 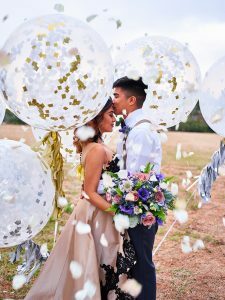 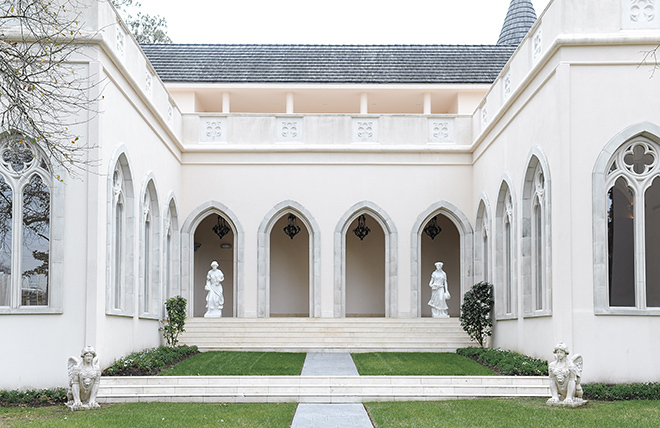 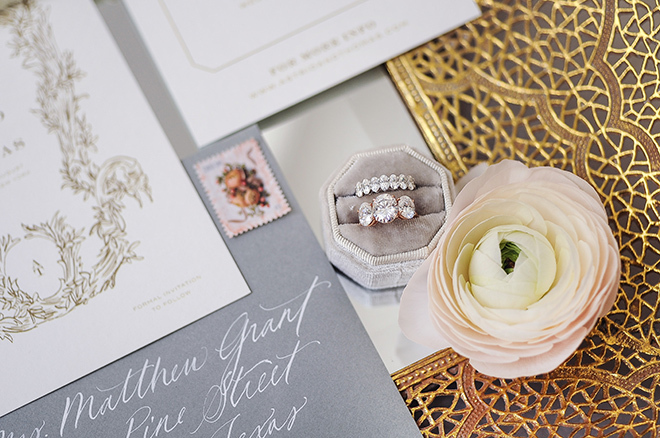 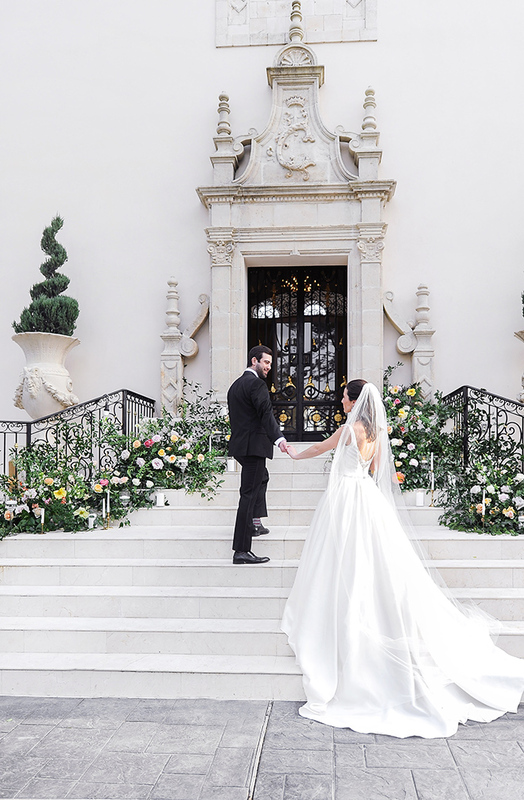 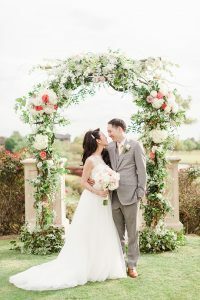 The Duchess of Sussex’s wedding to the Duke is behind this royal-wedding-inspired shoot, photographed by Jessica Frey Photography at majestic Houston wedding venue Chateau Cocomar. 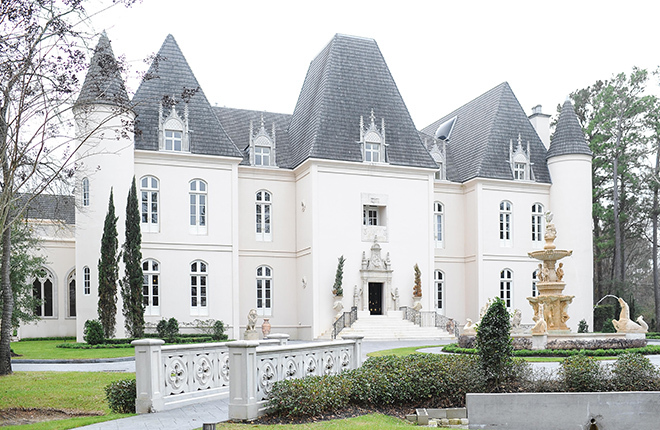 Located in the Champions area of North Houston, this European-modeled chateau offers the perfect backdrop for a styled wedding shoot full of regal romance. 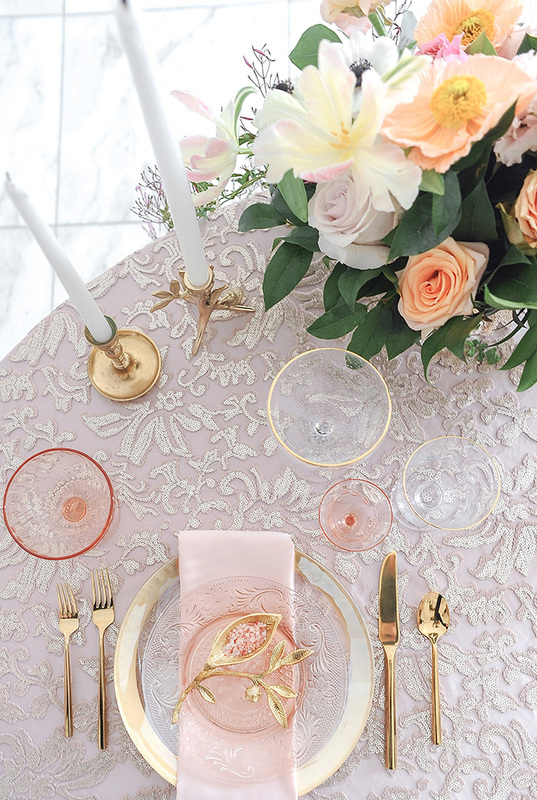 With a light and airy color palette of blush and peach with gold accents, and tons of delicate gilded details, this weddingscape feels both classic and utterly modern. 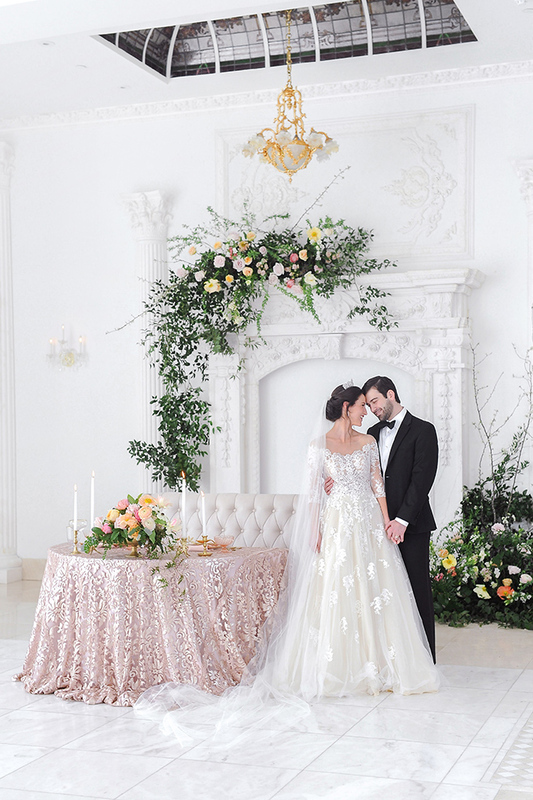 Inspired to bring a regal ambiance to your Houston wedding celebration? 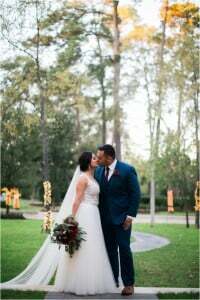 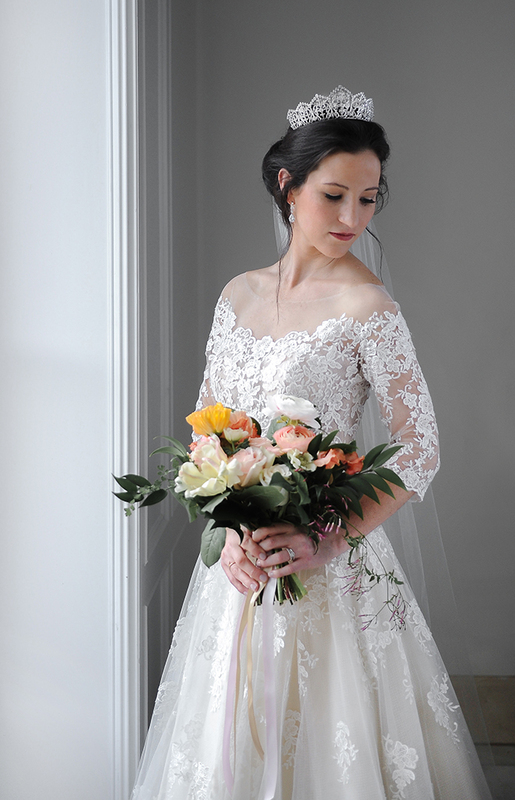 Reach out to our spotlight Houston wedding vendors to get the royal treatment for your own special day!